Young sportswomen prove just how valuable true friendship can be! 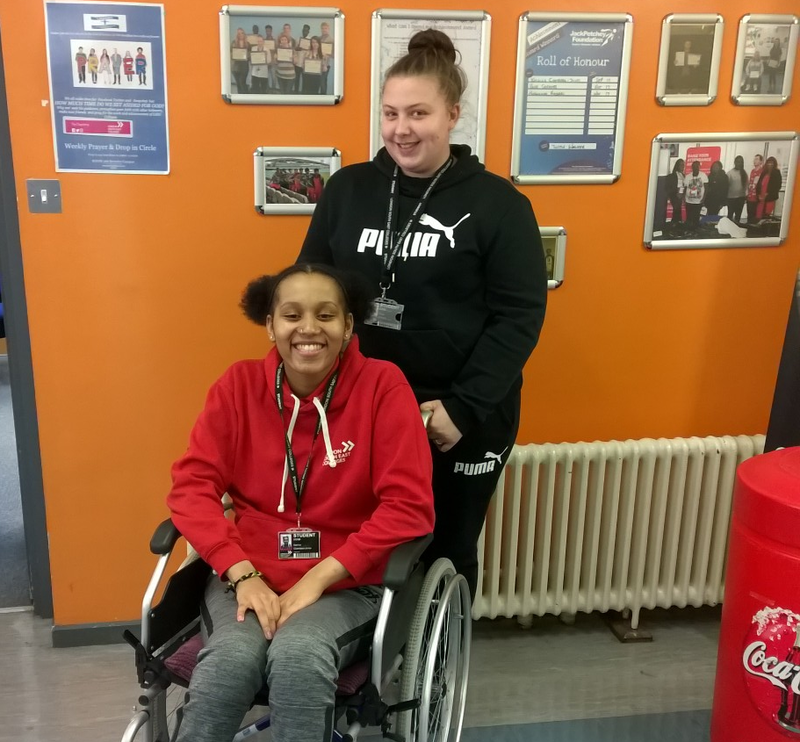 Katrina Chambers-Jones and Paige Greaves are both sports students at London South East Colleges in Bromley. Katrina suffers from a mystery illness, which affects her mobility and has left her confined to a wheelchair. Her friend, Paige is an invaluable source of support to the young sportswoman as she goes out of her way to ensure Katrina feels comfortable at college. The students recently won Achievement Awards and a £250 grant each from the Jack Petchey Foundation for working together and facing obstacles with positivity and determination. Katrina suffers from an undiagnosed illness, which has left her unable to walk and bound to a wheelchair. Even after countless tests and doctors’ visits, her condition remains a mystery with no obvious cause. She has trouble getting around college and needs assistance throughout the day. Her friend, Paige, gets up early every morning to help Katrina get to college on time and assists throughout the day. Despite these setbacks, Katrina is a hard-working student who is currently studying for a BTEC Level 3 Diploma in Sport. She is a positive addition to the college and her personality is infectious, making people laugh and smile whenever she’s around. Katrina has ambitions of one day becoming a sport’s coach and her teachers believe she is on the right track to pursue this. Alongside selflessly helping her friend, Paige was also nominated for her brilliant football skills. She is the goalkeeper for the college’s ladies football team, a role she undertakes with hard work and passion. Paige and Katrina now have the inspiring idea of producing a video to raise awareness for those who suffer from mystery conditions, which are left undiagnosed. This is a subject that they feel needs to be talked about more, to give those who suffer the chance to have their stories heard.